HUD homes are priced at fair market value for their location based on appraisal. If the home is in need of repairs, the price is adjusted according to the cost of repairs the buyer will have to make. HUD homes are typically less expensive than regular houses, so buyers can get more space for less money. Teachers and police officers are given a 50 percent discount on HUD homes. Investors often purchase HUD homes to fix up themselves and sell at a profit. HUD homes are sold as-is. You can view HUD listings on their Web site at www.hud.gov/offices/hsg/sfh/reo/homes.cfm. 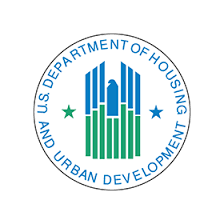 There are links to each state’s particular HUD web site. The HUD and state Web sites list agents who work with HUD homes, because only a registered HUD real estate broker can show you a HUD property – you can’t buy it without going through one of these agents.